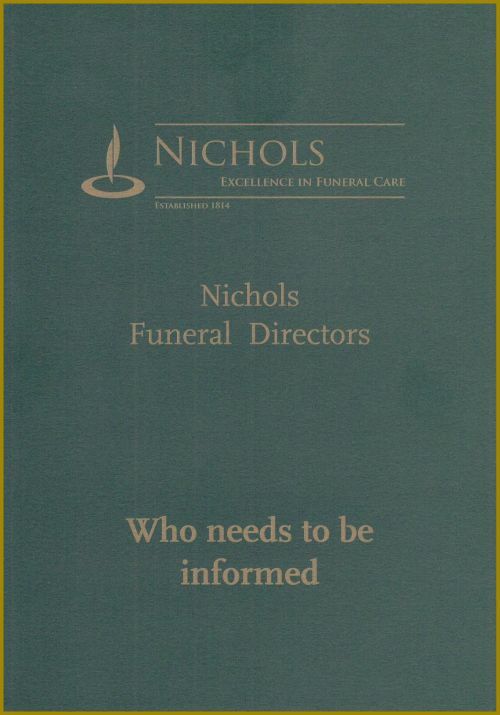 Following the death of a family member there are some services and organisations that your are required to inform (e.g. State pension) and many others that it would be advisable to do so. We have devised a guide list which will assist you and is categorised under various headings - Financial, Health, Household, Subscriptions, Membership and Other. This is presented to all our client families. In all cases The Executor and Solicitor should be immediately informed.